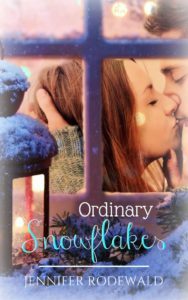 I’m excited to have my friend, author Jennifer Rodewald, here to share a bit of holiday joy, and she’s giving away an e-copy of her new novella, Ordinary Snowflakes! She’s included an excerpt! I’m so excited for you to read it! Craig was right. Suzanna could throw a snowball like a bullet from a rifle. She outplayed me shamelessly, and her laughter gave me a little insight as to why Paul had pursued her even when everyone else in town thought she was about as nice as a rattler in October. Guess everyone had scars. We just wore them in different places and with different bandages to hide them. Suzanna had worn hers with anger overtop. Me? I didn’t know how mine looked to others. Didn’t pause life long enough to consider it, but after Suzanna had given me an olive branch of grace by offering me an out of this snowball war I wasn’t good at and didn’t love, I suddenly wondered. About her and about me. Hold everything. Suzanna had been married? Before Paul? Didn’t seem possible. She wasn’t that much older than me, and she’d been Suzanna Wilton—same last name as her dad—before she became Suzanna Rustin. “I know. I should have told people.” Suzanna slid into the chair across from mine, and a small pause filled the space. Andrea had stayed outside, determined to pummel her brother with the white stuff. Boy, if ever there were opposites, Suzanna and Andrea were it. Dre was known as the fun, live it up but be nice kind of woman. She was the kind of person everyone wanted at a party. Her confession triggered an avalanche of memories. Bad ones. Multiple nights of ongoing fights. Tears. Pleading. As if dealing with the extent of Sydney’s injuries hadn’t been enough. “That’s what Brad thought…” I whispered. I paused, tears fogging my vision. “Syd didn’t get better. In fact, when her first cast came off and they re-x-rayed her leg, the news got worse. A lot of the bone fragments were dead. She needed transplants, and it was going to be a long process. A mutual hush bonded us as we waited for the drip brew to gurgle. When I looked up, Suzanna’s kind blue eyes were already settled on me. The mug made a hollow thud against the table as she set it in front of me. I traced the handle of my mug. What had that been like, to see God—to fall into His arms? I’d never stopped believing in Him, but…well, I often thought He didn’t see me. I was too insignificant. My life didn’t matter that much. My throat swelled as I processed her story—her assessment. Life had caved in on me, and honestly, I didn’t think I’d recovered. I wasn’t angry, but I hadn’t looked for God’s hand in it either. I guess I hadn’t expected it to be there. Ever feel invisible? Or just too ordinary to be noticed? Well, who doesn’t love to feel special? At least sometimes? Could just be me. But there’s something terribly important, not to be missed wrapped in the beauty of the Christmas story. That sweet nativity, the most extraordinary moment in all of human history happened in the most ordinary place, with the most unnoticeable of people. A pair on young people, non-descript and living quiet, everyday lives. A group of shepherds spread out over the fields, just as they had been for basically their whole lives. A baby boy, wrapped in cloths and laying in a manger. Jesus came to dwell with the ordinary. To teach them. To be with them. To save them. Here’s the truth. Life can feel ordinary to us. But really, our God doesn’t see us that way. Consider the snowflake—not a single one of them are alike. We see plain old snow blanketing the hills on a cold December day. But God? He sees each flake. Each unique, special flake. There aren’t ordinary snowflakes. Because they’re crafted by and extraordinary God. Thank you so much, Jennifer! One person who leaves a comment by Friday, December 23rd will win an e-copy of this novella! Thank you Janet for your introduction of Jennifer Rodewald. Jennifer, I enjoyed your romance The Carpenter’s Daughter. The title caught my attention, because my great uncle was a talented carpenter, who felt unworthy. People, but not the Great Carpenter, often look down on them because they are dirty or grubby. I enjoyed having the opportunity to know the character’s thoughts. Ordinary Snowflakes is on my wish list to read after the first of the year. Merry Christmas and Happy New Year Janet and Jennifer. Hi Renate! I loved the Carpenter’s Daughter, too! You’ll love Ordinary Snowflakes. Merry Christmas!! Geat exerpt! Sounds like a fantastic book. Thanks for sharing. Merry Christmas! Hi Beth! Jen is a fantastic writer!! Merry Christmas! 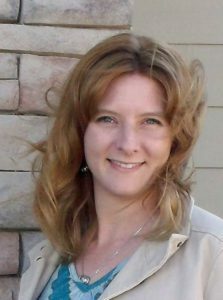 Welcome to Inspy Romance, Jennifer! Thanks for sharing that insightful excerpt. Hi there, Valerie! Thank you for having me today. Wow! This looks like such a wonderful and powerful story, Jennifer! All of Jen’s stories are powerful!! Merry Christmas, Autumn! Hi Autumn! Thank you. :) You know, when I started out writing it, I just said, “I need something lighter. Something that I don’t have to wrestle with so much.” I had no idea how much God was going to feed me through Ordinary Snowflakes. :) He’s good like that. Just enough to get us all going…. LOL, Gail! Yes! She’s a great writer! Merry Christmas! Hi, Jennifer. So nice to see you here. I enjoyed your excerpt. Merry Christmas! Good morning, Heidi! Thanks for saying hello! Thanks so much for sharing part of Jennifer’s book with us. It’s on my TBR list and now you’ve really made me want to pick it up right now. Janet, I love your thoughts on the beauty of how God came down for us ordinary individuals. Why is it we….”go looking for Christ in a palace—in the extraordinary—when really, He came to the manger. To the lowly, the common. The ordinary.” Thanks so bringing our focus back where it needs to be! Jennifer, I look forward to reading your book! Hi Marilyn! You won’t be sorry if you read any of Jennifer’s books! This sounds like such a powerful message wrapped up in a sweet romance. Best wishes to you with it, Jennifer! Hi Julie! Jennifer always has a powerful message! Merry Christmas! Janet, thanks for introducing me to Jennifer. Such a poignant excerpt!! I’d love to read her novella. Barbara, I’m happy to introduce her! I’ve had the honor of critiquing her novels, and it’s been a joy! You’ll love her writing! Hi Barbara! I hope you do read Ordinary Snowflakes. ;) Merry Christmas. Thanks for sharing a new story. I’ve seen relatives fight cancer and it is a treacherous road for those surrounding the patient. This excerpt is very emotional, but a good reminder that we need to learn to fall into God’s arms. Priscila, Cancer is so tough. Jennifer really digs into the emotions when she writes. Yes, fall into God’s arms! I need that so often. Priscila, thank you for stopping in…sometimes falling into His arms seems so hard. Sometimes, however, it is the only thing we can do. Bless you, and merry Christmas. You’re welcome, Merrillee! Merry Christmas! Thanks for the excerpt. Sounds interesting! It is! Merry Christmas, Shelia! Thanks for sharing this, Jennifer and Janet. I’ve read Ordinary Snowflakes and loved it. Such a wonderful, inspirational message and story. I have a couple of your other books waiting impatiently on my Kindle, Jennifer. I’m hoping I can get to them soon and to a couple of Janet’s books that I haven’t read yet. So many wonderful authors! Thanks for sharing your time and talents! Hugs! Hi Winnie! Isn’t Jennifer great?! Wonderful to hear from you! Thank you for always being so supportive! Much Love and Merry Christmas!! Novellas sound like a great idea right now with a 2.5 month old baby to take care of! Hi Mandy! I used to read in the bathtub when my kids were little! I know how it is! Congrats and Merry Christmas!! Hi Trixi! Hope you are doing well! All of Jennifer’s books point us in the right direction. I love how you worded your comment! Merry Christmas!! Thanks Janet, blessed Merry Christmas to you & yours too!! So true! I love that! I need to do it this week! Isn’t that a wonderful connection! Reminds me of the being thankful theme from 1000 Gifts. Merry Christmas! Me too! Thank you so much! I loved your review of Ordinary Snowflakes, and I’m so honored you picked it up! Great to see you here, Jennifer. I loved the excerpt! Hi Jill! It’s a great story! This sounds like a complicated story and a good read.